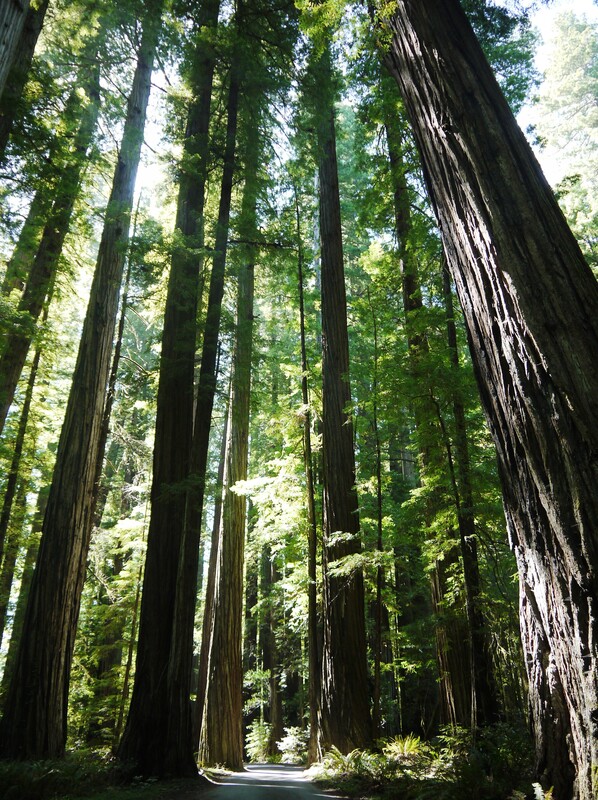 My mom and I did a camping trip in Humboldt Redwoods State Park last week, our first time in the redwoods of Northern California. 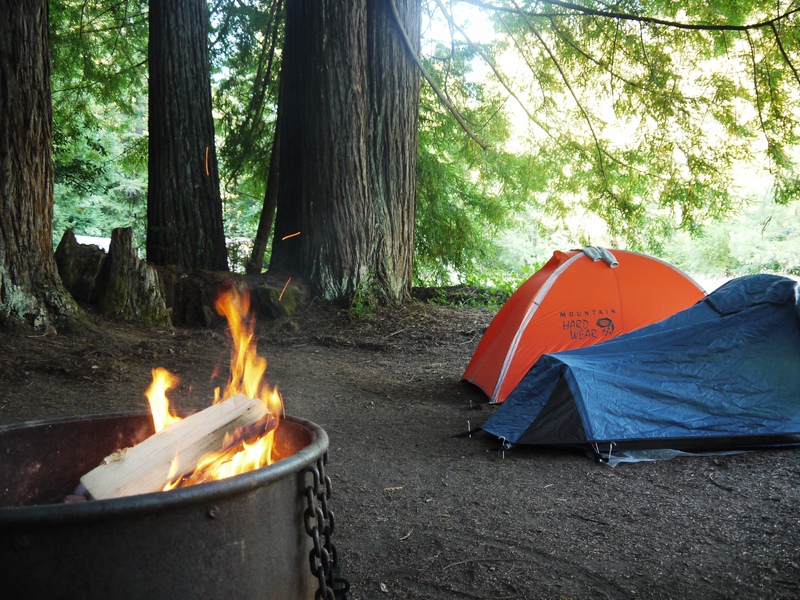 We camped at Albee Creek campground for three nights and enjoyed the serenity of the forest. For my birthday I decided that I wanted to do a peak hike, Grasshopper Peak. I asked the ranger for directions to the main trailhead from the campground. She gladly pointed us in the direction and added that the hike is 3,000 ft. gain in about 7 miles in 80-90 degree weather. I knew beforehand what we would be signing up for. I thanked the ranger and we headed out of the campground. 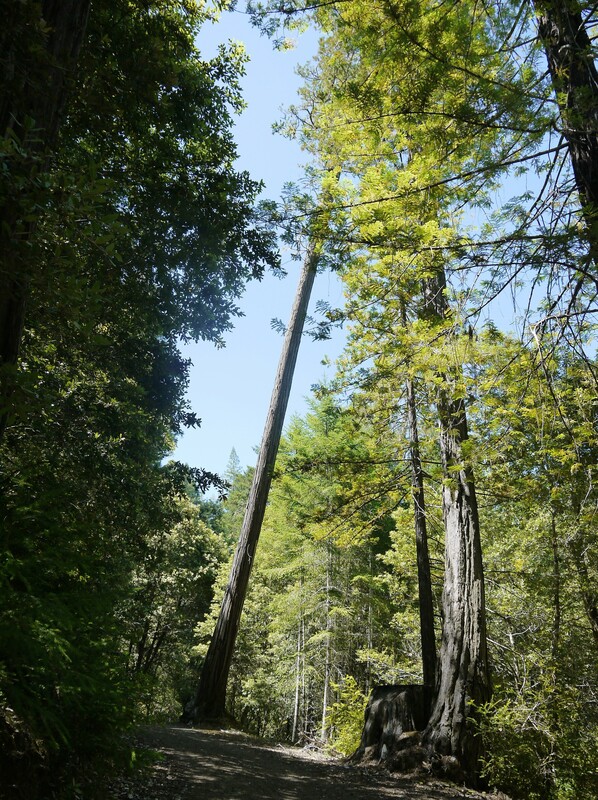 Once we reached the fire road off of Mattole Road the trails starts ascending. Luckily we had the shade of the trees to protect us from the sun. After about an hour into our hike I noticed something moving sluggishly about 200- 250 ft. ahead of me. I turned around to my mother and said “I think that’s a bear.” She looked and confirmed. So she starts fishing into her backpack for her camera while I’m turning back around. I said, “Mom, let’s go back.” To which she replies, “No let’s continue on. The bear went down into the ravine.” I argued with her for a while but I couldn’t stop her and I didn’t want her to go on her own. So we marched forward making noises with our trekking poles. Of course my heart was beating so fast. I had never seen a bear on the trail before and I was scared for at least an hour afterwards. 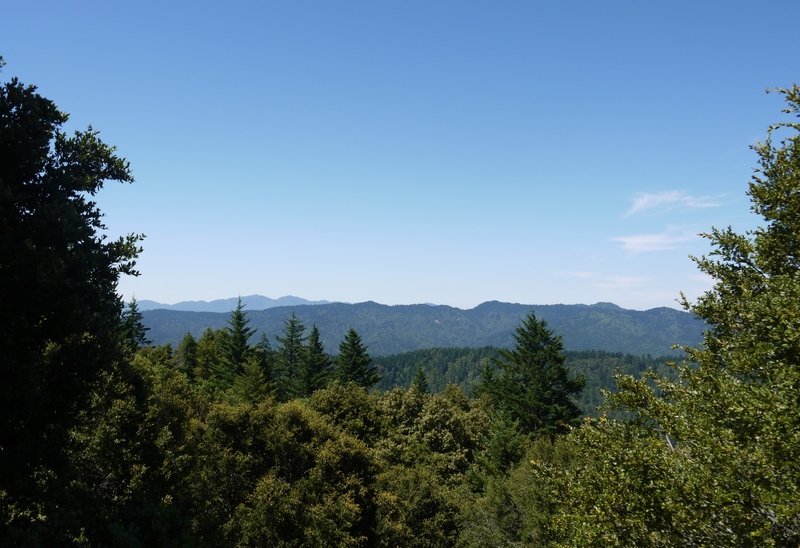 But then I stopped thinking about it and tried to enjoy that I was hiking on my birthday in the redwoods. The trail is not as visually appealing as the trails at lower elevation, but the area is dense with green trees which is quite different from southern California. It reminded me of my days in Bloomington, Indiana. It is a tough hike, but if you are interested in summit hikes then this is for you. 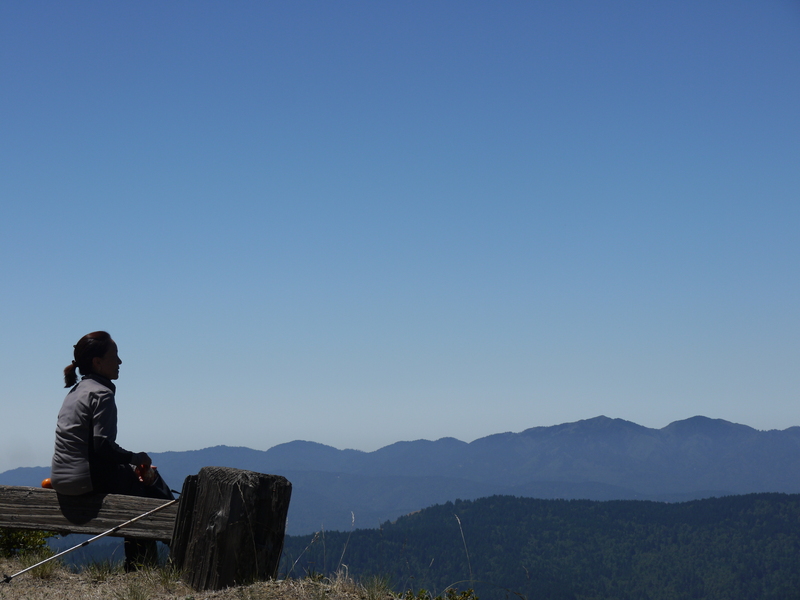 We finally reached the peak around noon and had lunch at the top and enjoyed the views overlooking the redwoods. After our break we returned to the campground. I told the ranger that we saw a bear on the trail and she said that they normally don’t approach humans and that we were fine. In any event, I was glad to have returned safely to our campsite where drinks and a hearty dinner would be happily prepared.